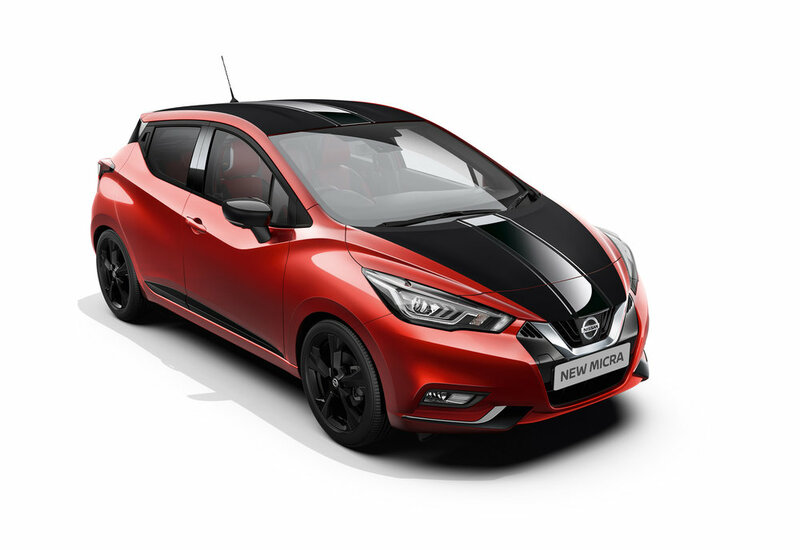 The all-new Nissan Micra will start from £11,995 OTR when it goes on sale in 2017. The range-topping Tekna model will start at £17,295 OTR, and there will be five trim levels – Visia, Visia+, Acenta, N-Connecta and Tekna. Nissan says the IG-T 90 Acenta is expected to be one of the most popular versions, available for £14,995, describing this model as one that strikes a balance of ‘style, specification and affordability’. From launch the new Micra will be offered with a 0.9-litre turbocharged three-cylinder petrol engine or a 1.5-litre diesel, both developing 90hp. A naturally aspirated 73hp 1.0-litre petrol engine will join the range soon after. A range of options includes keyless entry with engine start/stop button; heated front seats, and a first-of-its-kind Bose sound system with Bose UltraNearfield speakers, combined with Bose PersonalSpace Virtual Audio Technology, built into the driver seat headrest for an immersive listening experience. There will be ten body colours to choose from, including solid, metallic and pearlescent paint options, with further customisation options including exterior and interior personalisation packs with contrast-colour cabin and body features; leather trim; dynamic 17” alloys with colour detailing; and 'stylish' body decals. Full pricing as well as further specification and options for the new Micra will be announced in mid-December when pre-orders open in the UK.